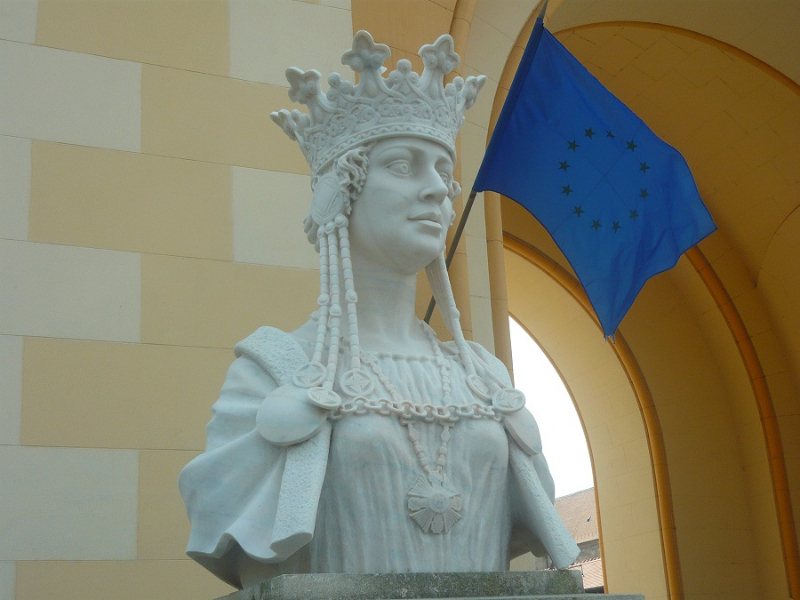 When Romanians say Alba Iulia they usually think unification city, a real heart of the Great Romania. For Romanians who live in the historical region of Transylvania, despite that this city isn’t the traditional capital of the region, it has been at the beating heart of their history for centuries. Guest writer Mariana Ganea travels to this place full of history at the heart of Romania. Let's start with a stroll down the history lane. Alba Iulia is one of the oldest human settlements in Romania, and it was mentioned for the first time by the Greek geographer Ptolemy as Apulon. After Dacia – which was located on the current territory of Romania - became a province of the Roman Empire, the capital was set here, in the city then called by Romans Apulum. Apulum was the biggest city in the Dacia province and now it hosts the largest castrum located in Romania (almost 38 hectares). In the 9th century the city was re-named Belograd or Belgrad (which means white castle in the Slavic language) because of the remains of the white Roman walls. The Romanian name of the town with Slavonic roots was in the middle ages Balgrad. According to historical documents, the city was built on the old Roman settlement in the 10th century by Hungarian regent Gyula, who set the capital of his dukedom here. 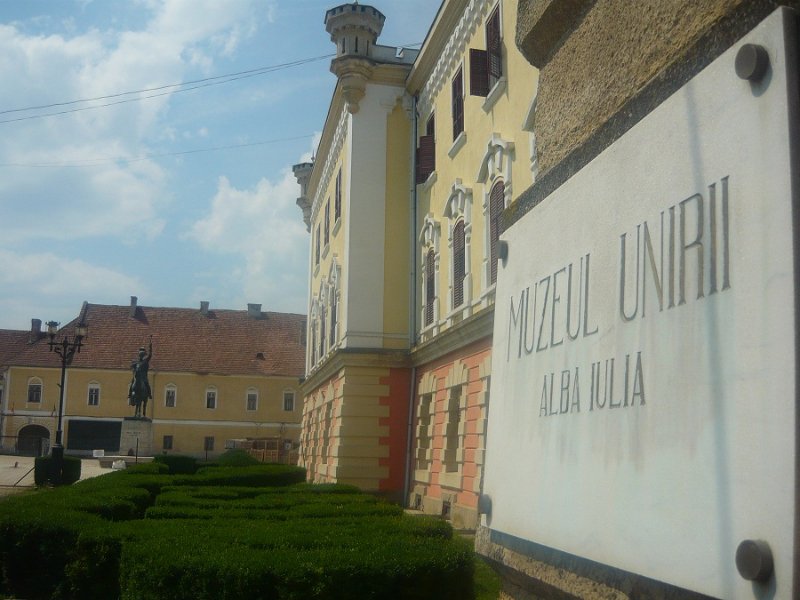 So, the name Gyula (Iula, Iulia) was attached later to the name Apulum (Alba ) generating the name Alba Iulia. In the 11th century the first cathedral was built in the city, when Stephan I of Hungary set here the Catholic Transylvanian bishopy. The existing Catholic cathedral was built in 12th to 13th century. Alba Iulia was the capital of the Principality of Transylvania from 1551 to 1690. In 1551 the Treaty of Weissenburg- when the archduke Ferdinand of Austria was declared the ruler of Royal Hungary and Transylvania- was signed here. In 1599 the prince of Wallachia Michael the Brave (Mihai Viteazul) became prince of Transylvania after the battle of Selimbar and in 1600 he succeeded to unify for the first time the Romanian regions Wallachia, Transylvania and Moldavia in one country – unfortunately, it only lasted until 1601 when he was killed. During the reign of Gabor Bethlen (1613-1629), Alba Iulia enjoyed cultural development and an academy was created in the city.The fortress called Alba Carolina was built between 1714 and 1738 during the reign of Emperor Charles VI of Habsburg. In the 18th century the Batthyanaeum Library was created and in the 19th century the railway was built. After the World War I, in 1 December 1918 people gathered in Alba Iulia and proclaimed the union of Transylvania with the Kingdom of Romania - formed by the prior unification of the kingdoms of Wallachia and Moldavia in 1859 under the prince of Moldavia Alexandru Ioan Cuza). 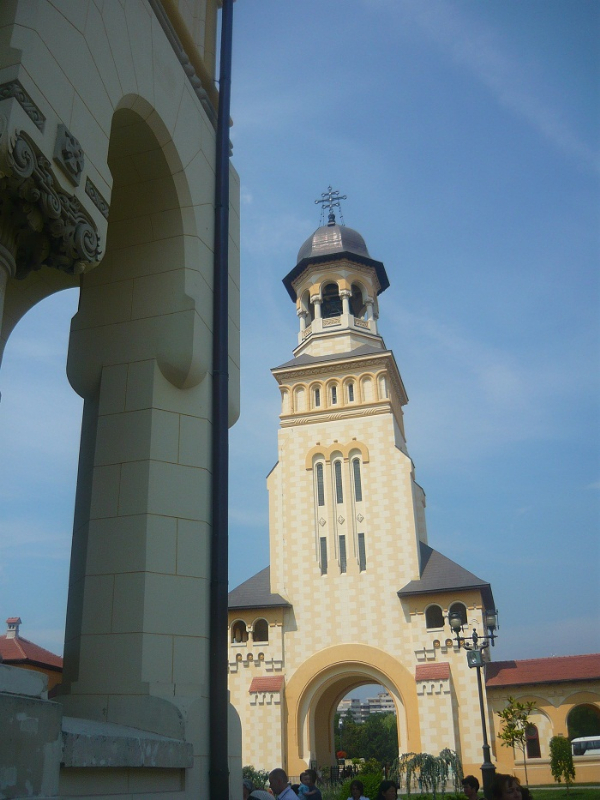 In 1922 Alba Iulia was the city which hosted the coronation of the king of Romania, Ferdinand (1914-1927). Now a bit of geography. The city of Alba Iulia is situated in the historical region of Transylvania, in Alba County in central Romania, on the Mures River, some 350 kilometers away from Bucharest. Because of its very old and rich history, the city has many monuments for which it deserves to be visited. The main historical area of the city is the Upper Town, built mainly in the 18th century in honor of the Habsburgs who had renamed the city Karlsburg. The fortress called Alba Carolina has seven baroque bastions in a stellar shape, and it is considered the largest military fortress built in Vauban military architectural style in the Southeaster Europe. Tourists can find inside the fortress all important monuments of the city, which, if visited step by step, mirror the history of Alba Iulia. The Unification Hall, built in 1908 as the officers club, is part of the National History Museum, and is of high historical significance because it hosted on 1 December 1918 the rally of the 1,228 Romanian delegations who declared the union with the Kingdom of Romania. The National History Museum of Unification is located in the Babylon Building. It was built between 1851 and 1853 for military purposes and became a museum in 1887. The museum exhibits over 130,000 pieces of artworks, organized chronologically. The Princely Palace was Michael the Brave's residence during the first political unification of Romanians in 1600. Foreign chronicles pictured it as an extremely luxurious building, richly adorned with frescos and marble stairs, which later were destroyed by the Tatar – Turks invasions. During the rule of Princes Gabor Bethlen and George II Rakoczi (1648-1660), the palace was restored, but not to its previous state. The Orthodox cathedral, called the Orthodox Unification Cathedral was built between 1921 and 1923. The frescoes were painted in a traditional iconographic style. In 1922 the first monarchs of the Unified Romania, King Ferdinand I and Queen Mary were crowned in this cathedral- two statues at the entrance remind of their coronation. The Roman Catholic cathedral was built in 10th and 11th centuries and it seen as the most representative building in the Romanic style from Transylvania. The Batthyaneum Library is kept in a former church built in Baroque style. In 1780, the bishop of Transylvania Batthyany adapted the inside of the building to use it as a library. It is famous for its series of manuscripts, incunabula and rare books such as Codex Aureus of Lorsch from the 9th century, Codex Burgundus from the 15th century and Bible Sacra from the 13th century. The first astronomical observatory in Transylvania was founded here in 1792. The Apor Palace, located on the same street as the Bathyaneum Library, belonged to Prince Apor and it was built in the 17th century. Another must see monument is the Horea, Closca and Crisan Obelisk, which was built in 1937 in honor of the three martyrs of the 1784 riot. The third gate and Horea’s cell should also be visited. The gate is the most monumental entrance gate in the historic area of the city and is decorated with stone panels and two bastions which illustrate various moments from the history of the city. Horea’s cell is in fact a little room where the rebel and main leader of the 1785 riot was imprisoned. To reach Alba Iulia, take E81 (from Bucharest) or E60 (from Budapest); you can also choose to go by train and by bus, or even faster, by plane. The nearest airport is located in Sibiu, 70 kilometers away from Alba Iulia, and a good destination in itself too. Alba Iulia has enough hotels, motels, bed and breakfast and restaurants to cater to most tastes. The restaurants have various dishes from international to traditional (Romanian, Hungarian) and very good wines, as nearby there is the Jidvey Winery on the Tarnave Valley- which can also be visited.